I think sometimes forgiveness is hard. In fact it is easier to want it than give it. Forgiveness doesn’t mean a blank slate and its not forgetting. Things that happen are there, they are done… part of the past. God doesn’t forget those things and neither do we. Forgiveness is not forgetting, but it is about not holding something against someone. In fact it is easier to hold a grudge than it is to forgive. Forgiveness is not avoiding conversations about what has happened and it’s results. Forgiveness opens the door to handle the wrong that has occurred. It allows us to deal with things without hurting each other… again. It allows conviction to take hold and opens the door for heart change. Forgiveness is not the same thing as trust. Trust takes time to rebuild. Forgiveness sets up boundaries that enable that to happen. I have never de-friended anyone on Facebook… never. But sometimes people get upset when it comes to the Bible and its instructions on how to live. Forgiveness is saying I am still your friend, can’t support what you are doing but still friends. Forgiveness prevents us from looking down on the person that isn’t living right. Forgiveness is a reminder that you an I do not live right all the time. We need forgiveness just as much as the next person. It is easier to de-freind someone than it is to deal with the issue. Forgiveness opens the door to freedom… the freedom that happens when some one says “I was wrong”… this is a freedom that is seldom experienced but is always available. There are some that will never deal with the issues they have created in their lives. I’ve been a pastor long enough to know that. If someone will not change… forgiveness sets up boundaries until they do. People that refuse to repent are dangerous to be around. Forgiveness is not the absence of protection. You do not have to be buddy buddy with the people you have forgiven. Forgiveness is remembering what has happened without holding it against the person. It allows us to use wisdom concerning how we will approach them in the future. 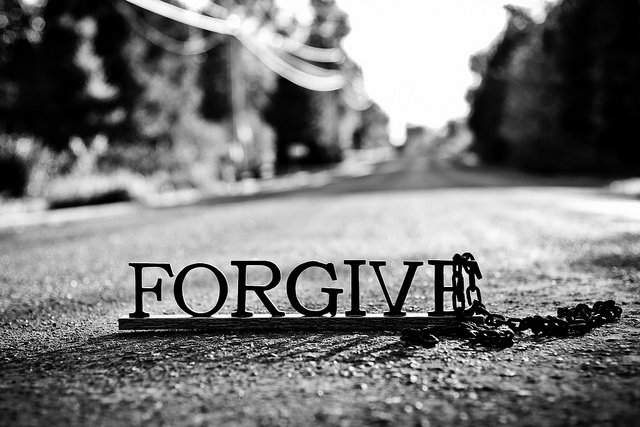 There are some people that are poison… forgiveness responds to that. He does the same for us… because He loves us. Forgiveness is rooted in love… and love never fails. One of the very first sermons I heard you preach was about forgiveness. God used you as He cut to the very core of my hurt, anger, disappointment and bitterness that was consuming me – because I was withholding forgiveness! God had been preparing that message for my heart to hear long before I needed to hear it. The glimpses He gives us of His glory are breathtaking and humbling and I am always awestruck with how He loves me with all my failures and weaknesses!